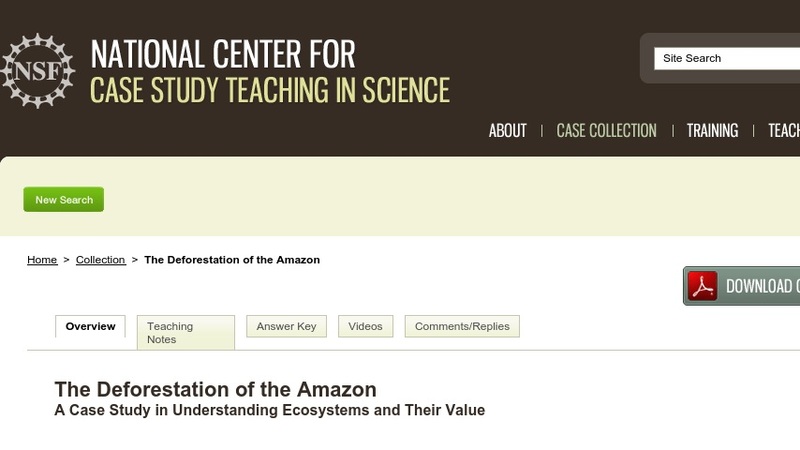 In this case study, students examine tropical deforestation in the Amazon from the perspective of three dominant stakeholders in the region: a peasant farmer, a logger, and an environmentalist. As part of the exercise, students perform a cost-benefit analysis of clearing a plot of tropical forest in the Amazon from the perspective of one of these stakeholder groups. Developed for a course in global change biology, this case could also be used in courses in general ecology, environmental science, environmental ethics, environmental policy, and environmental/ecological economics.